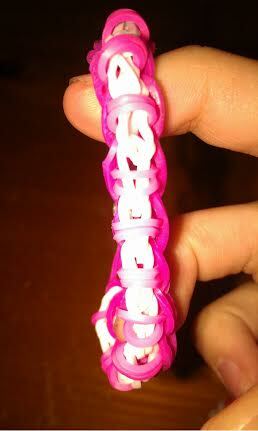 Rainbow Loom Bands the latest craze!!! 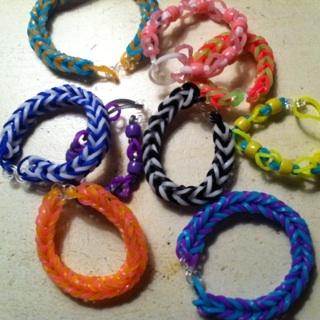 Have you heard of loom bands?! 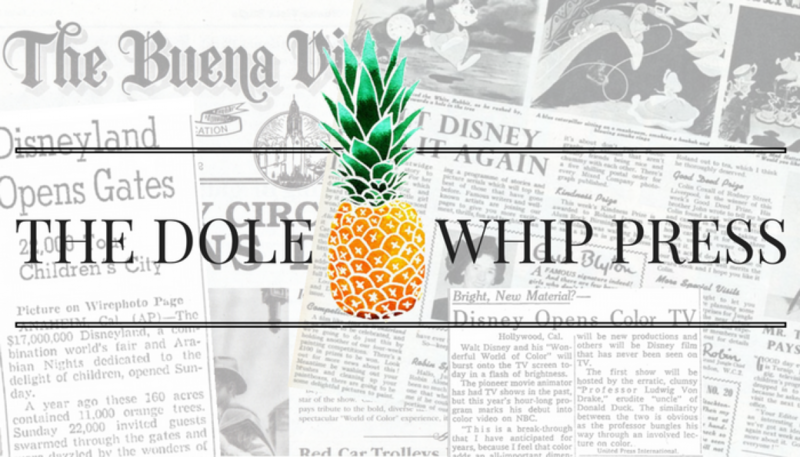 They are the newest craze! 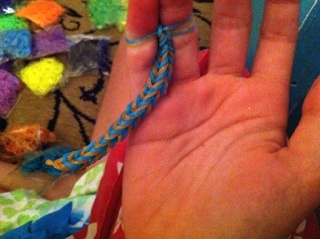 The popularity of these friendship bracelets has increased 40 percent since Christmas. Even the Duchess of Cambridge has been spotted wearing one! She set off what is known as the Kate effect booming the popularity of loom bands in Europe. 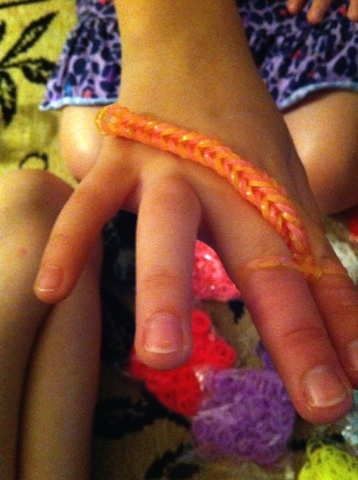 My daughter absolutely loves creating bracelets, rings, and bookmarks with these lil rubber bands. 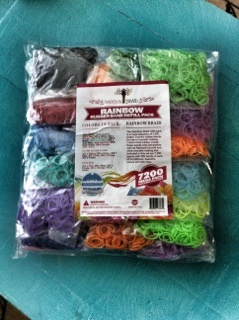 This weekend we received a complimentary refill kit from Rainbow Braid products to review. This post will reflect my honest opinion and that of the children that participated in the testing of the product. This particular kit comes with 7200 loom bands! 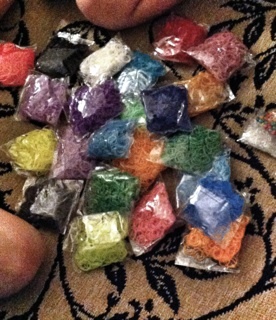 Yes, that is right 7200 loom bands!!! Break it down and you get 300 bands of each color. 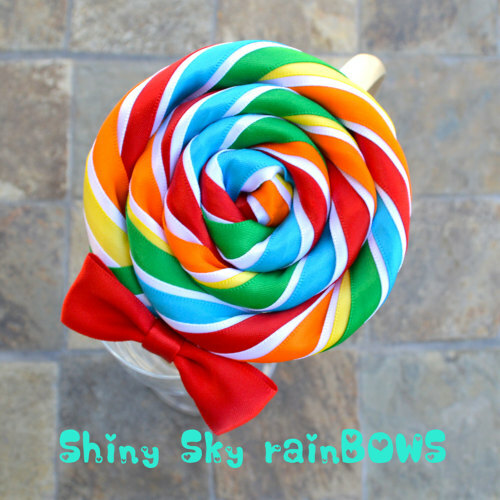 This is a little girl’s delight! 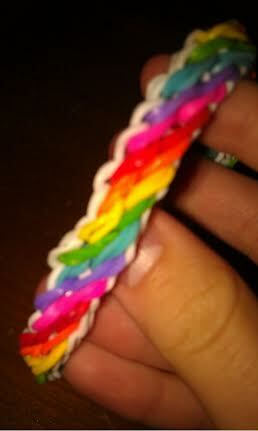 You will receive solid colors, glitter, and glow in the dark bands. Plus (yeah there is more!) beads and 500 s hooks. This kit is not called the Mega Kit for nothing! It has all you need for hours of loom band fun. 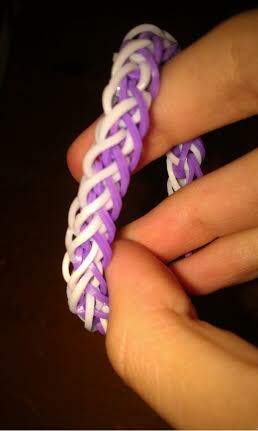 The bands are stretchy and easy to loom together using a loom or your fingers and toes. 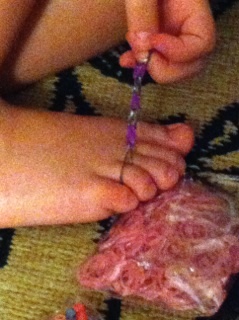 My daughter A loves using her toes…she says it is because she is a banding professional. One thing to note, my daughter A said this is her favorite kit by far. She really likes the beads and says, “they look best on singles, adding the right amount of Pop!” We had so much fun creating with the mega kit by Rainbow Braid products. 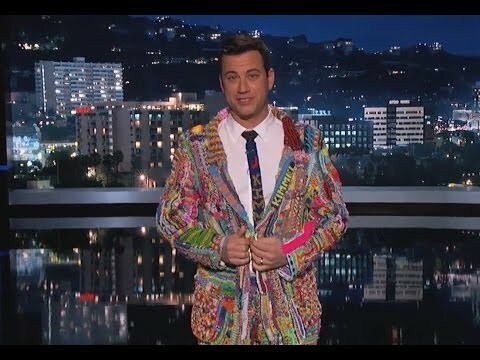 Use the bands to create key fobs, bookmarks, ha even sweaters like Jimmy Kimmel’s! Get your Mega Kit right here!!! I had no clue they were back!